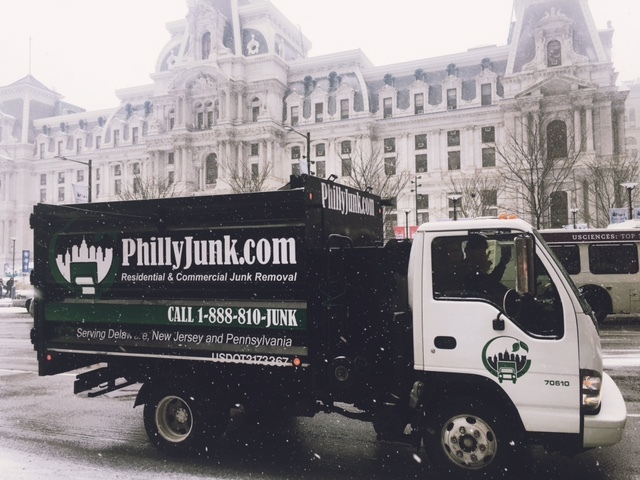 Philly Junk® Removal Philadelphia, Pa.
We sure do spend a lot of time in houses and office buildings in Philadelphia doing house cleanouts, junk removals, junk disposal, junk trash removal, basement cleanouts, estate cleanouts, office furniture removal, garage cleanouts or just about anything else. One of our trucks can usually get to their first job within 20-30 minutes from where they are parked every morning. Every day, seven days a week we have trucks running and many times we operate thru the early morning hours doing commercial building or retail store cleanouts where we can only get in to begin the removal after hours.